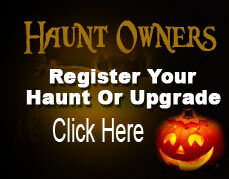 Haunted Town Hall is a 2 story indoor Haunted attraction with a 5 min. Escape Room. We have remodeled to bring you more and new surprises. The mayor will be looking for you around every corner.